Students from South Lakes High School and Herndon High School are among the 22 students chosen for this year’s Student Peace Awards of Fairfax County. The students will be honored in a reception at Sherwood Community Center in Fairfax Sunday. Takle is president of the school’s chapter of Girls Learn International, a national nonprofit that seeks to provide resources and support to girls in other countries from low-income families who want to have an education, but whose families either cannot afford to send them to school or who, with the limited resources at their disposal, prioritize their sons’ educations. The chapter raises money for a school in India and holds advocacy events to raise awareness of the plight of so many girls across the globe who need access to education and opportunities for greater self-sufficiency. Aditi is also a volunteer with Cornerstones, where she tutors elementary school students from low-income families. The disastrous earthquakes last year in Smirti’s country-of-origin Nepal inspired her to organize relief efforts to assist Nepalese people suffering loss of their homes, livelihoods, food, and water. As president of Herndon High’s Interact Club, she organized students to raise money and collect material goods to provide relief. She and her family volunteered in Nepal over the summer, helping in schools and hospitals. High schools in Fairfax County may recognize one junior or senior who devotes time, energy and creativity to being peacemakers in local, national or international service, says Reston’s Ken Fredgren, who is on the awards committee. 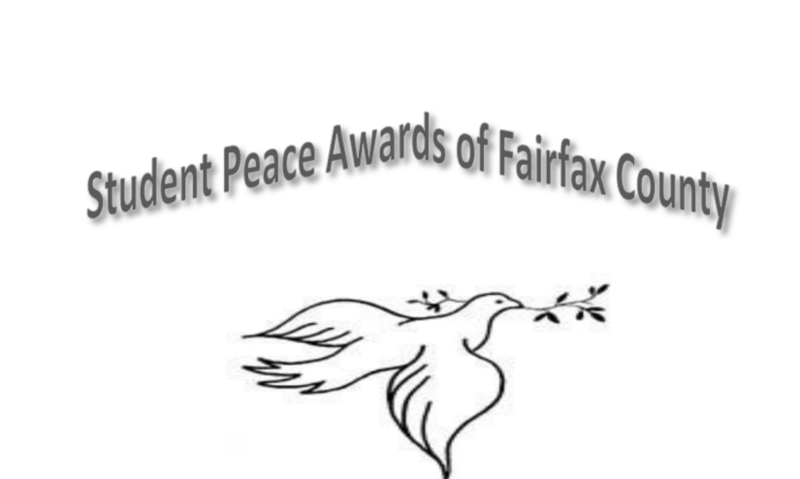 The Student Peace Awards of Fairfax County started in 2006 with the hope of moving people to think more about peace as both a means and an end, andto recognize young people who work as peacemakers, says Fredgren. Honorees receive a monetary gift as well as a gift made in their honor to a peace-focused charity of his or her choice.